Being an indie novelist is a little like being in an indie band: being paid is less important (or likely) than connecting to an audience. Bands will work for beer. Us novelists, we’re happy to get out of the house and commiserate with other indie novelists. At the Brighton District Library, ready to rock and read! 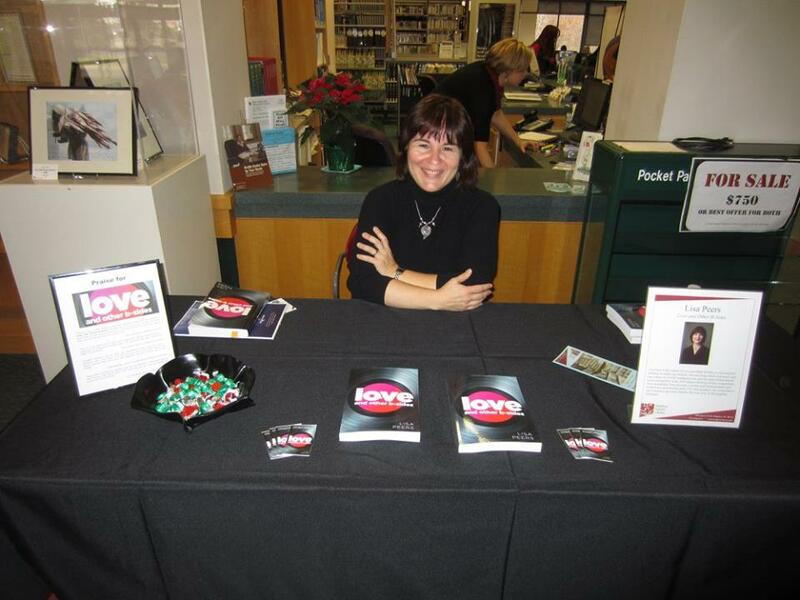 This fall I began what I’m grandly calling my book tour for Love and Other B-Sides. It began with the Books & Authors event at Leon & Lulu in October. That led to being invited to the Local Authors event last Sunday at the Brighton District Library, courtesy of Sarah Perry, a librarian there who is also a YA author. Once again I was able to meet a lovely group of writers whose considerable talents range from children’s picture books to adult fiction of many stripes. I never played music to become a star or get rich. I played music because it was all I was any good at. I was a skinny loser catching hell from my father and this close to getting kicked out of high school. Being in a band gave me friends and girls and a ticket outta Richmond. I’ve been lucky enough to make a living out of it—an incredibly good living—and I’m grateful, but people are fickle and times change and no one really owes me anything and the fame could all be gone tomorrow. But the music will still be around, and it still makes me feel good to write it and play it with my friends for my fans, which is more important than making some critic respect me. To those who organized the event, turned out, bought my book, bought others’ books, and generally gave independent writers reasons to keep at it – thank you. P.S. If you want to give me an early Christmas present, please, please like my book page on Facebook! Cross that item off my bucket list: I have now sold my book to complete strangers! My first-ever book signing was a total delight at Leon & Lulu. The store, which offers an eclectic mix of gifts, clothing and furniture, is in a former roller rink in Clawson, Michigan. Clerks often zip around the store on skates; signs outlining proper skater etiquette decorate the bathrooms. It’s one of those stores where you go to get presents for people you don’t know how to buy for; it’s a lot of fun. Mary Liz Curtin, who co-owns Leon & Lulu with her husband, Stephen Scannell, championed us from the start, swooping through the store on crutches (due to a recent tumble) and rearranging store displays to reflect the authors’ works. Also, the staff was utterly terrific, bringing us drinks and food and acting as our cheerleaders throughout the day. The other authors, who were nothing but friendly and kind. Some of us were hawking our first book; others had series that are nationally known. They were eager to share their tips on writers’ conferences, printers and other sales opportunities, and their lack of ego proves that art is never a zero-sum game: instead, when one wins we all do. My friends and family who turned out, picked up first copies for themselves or second copies of my book as presents for others, and walked through the store with my book prominently displayed. P.S. If you weren’t able to make it to Clawson or you prefer an electronic version of Love and Other B-Sides, you can pick it up on Amazon 24/7! Having written this blog for four years (thanks for the virtual trophy, WordPress!) I know I could get a lot more readers if I wrote in a more timely manner. I don’t do my statistics any favors by waiting days after a concert, or weeks after a book comes out – or years after an album is released – to share my opinions. Life keeps getting in the way of my incipient success as a writer, I guess. Even if I was a little more mindful about building my platform, there is so much rock and roll out there it’s a miracle if I get around to listening to something once, much less discover an artist who inspires me to consume his entire catalog. 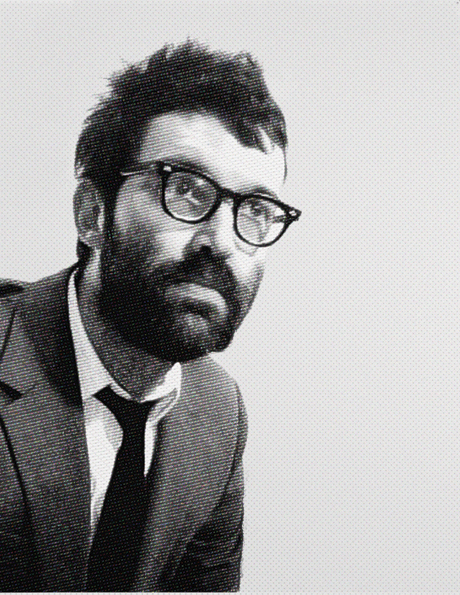 A miracle just occurred: now, more than two decades after his first recording hit the alternate airwaves, I am officially obsessed with EELS. He even had a great scene – and song – that ended up on the cutting room floor from This Is 40 (with lots of NSFW language, just to warn you). The guy has seemingly been everywhere and hiding in plain sight at the same time. It’s the most personal eels album since 1998’s ELECTRO-SHOCK BLUES. That album dealt with the nearly simultaneous suicide of Everett’s sister and terminal illness of his mother, from the subjects’ points of view. This album finds him a few years down the line, now battling some of the family demons himself, with the after effects of past tragedies becoming more of a personal issue in his adult life, sometimes fearlessly autobiographical, and other times built around the related stories of others. Sounds like a total downer, right? Not really; well, not completely. While the material isn’t always a picnic, the music is consistently beautiful and original. E’s sandpaper voice conveys a great deal of warmth and humanity, and the varied arrangements include cameos from Tom Waits, Peter Buck, John Sebastian … and E’s dog. Listen to it with a strong cup of coffee or a stiff drink in hand. I have barely scratched the surface of this artist. Lyrics are just beginning to get stuck in my memory, rhythms are resonating in my headphones. It’s that delightful stage of exploration where I know I’m onto something truly special and I can’t wait to see what I’ll find next. To continue your own discovery, here’s a ramshackle version of one of his catchier tunes from Blinking Lights – enjoy! P.S. My very first Books & Authors event is Sunday, October 26 at Leon & Lulu’s in Clawson, Michigan. This is a great store for finding unique gifts, clothing, furniture and more – in a former roller rink, no less. See you there!